More than 40,000 Irish nurses will go on a 24-hour strike on January 30 unless the dispute can be resolved and with a week to go, this appears unlikely. 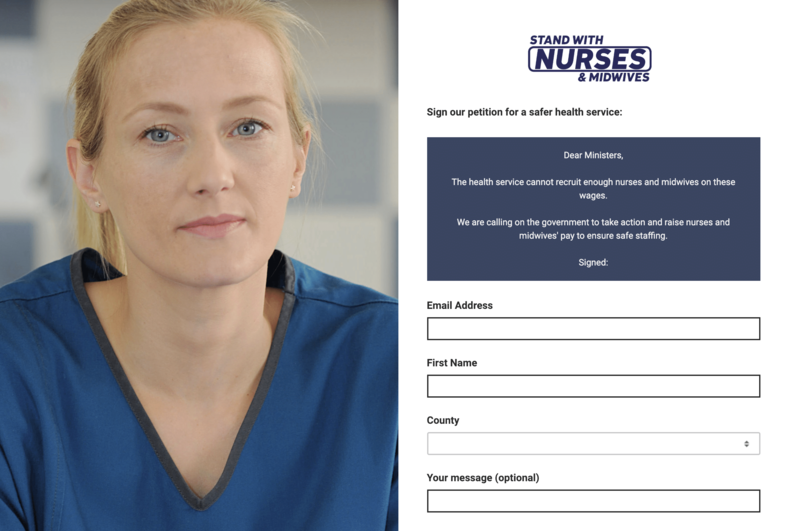 The Irish Nurses and Midwives Organisation (INMO) has called on the public and nurses elsewhere to support their cause by signing the Stand With Us public petition. 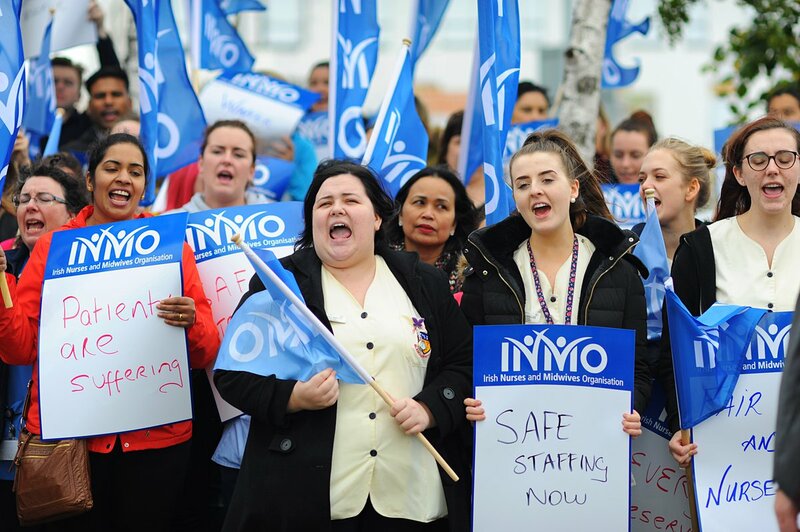 The INMO announced on December 18 last year that 95% of their members had voted in favor of a strike – the first since 1999. This was after a proposed government package for improved allowances, and promotion opportunities were rejected by members of both the INMO and the Psychiatric Nurses Association. During the strike, only life-saving care and emergency response services will be provided. If there is no satisfactory resolution further 24-hour strikes will follow on February 5 and 7, and then from February 12-14. The shortage of nursing staff is at the center of the strike action with nurses arguing that the low pay, combined with the pressure of the shortages, is causing nurses to either to leave the profession or to emigrate. The number of nurses in public services has dropped by 6% since 2008 despite the increased demand caused by a growing and aging population. Nearly 20,000 Irish nurses and midwives had left the country over the past decade. The nurses are calling for a 12% pay increase to bring their salaries in line with that of other health professions with comparable qualifications. After one year, a staff nurse earns €31,110 compared to a salary of €37,423 for a respiratory technician. After 15 years, staff nurses can expect to earn €45,701, and teachers €58,662 per year. In the meantime, the Paschal Donohoe, Minister of Finance, stated that the government could not afford the raise demanded by the nursing profession which would cost around €300m. He further argued that it would open the door for claims and strikes by other workers in the public sector. “Disputes are resolved by engagement and no other way, certainly not through megaphone diplomacy,” said Simon Harris, the Minister of Health. “So my department and the HSE will be working as hard as we can and hoping we have willing partners to avoid strike action.” Talks between the unions and the HSE on January 21 were described by the General Secretary of the INMO, Phil Ní Sheaghdha, as deeply disappointing with no proposals made by the employer to avert the strike action. The unions have now referred the health employers to the Workplace Relations Commission. #GiveUsAReasontoComeHome. 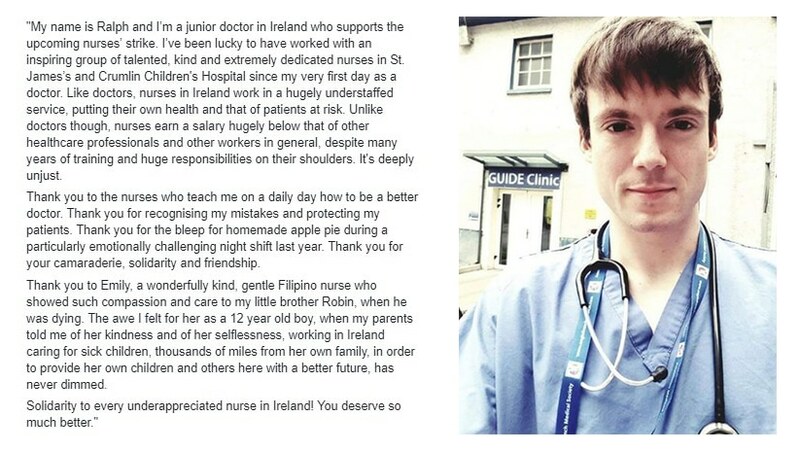 Irish nurses in Australia come together in support of the strike efforts of their colleagues in their homeland. Image: NursesofAustrlia Instagram. 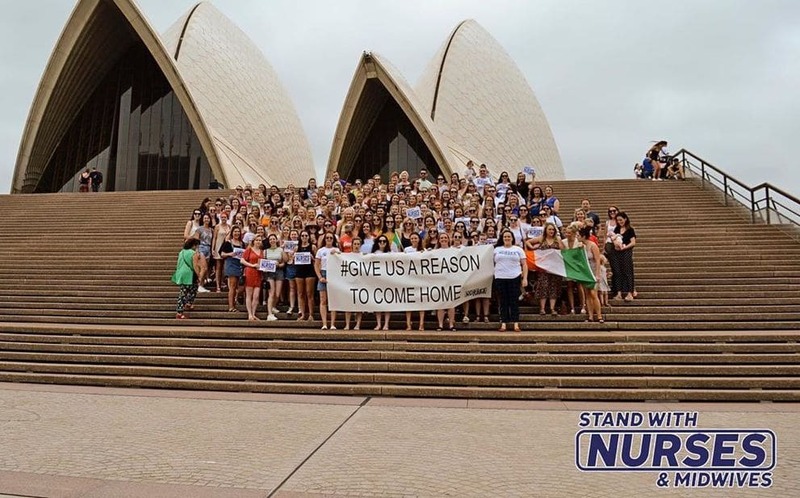 On January 19, over 250 Irish nurses in Australia came together at the Sydney Opera House in support of their colleagues in Ireland, with the call of “give us a reason to come home.” The INMO is asking the public and other nurses to support their cause by signing the StandWithUs.ie petition to help ensure safe staffing levels in the Irish health service. “We are calling on the public to support us. 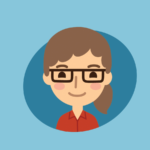 Nurses and midwives are always there for you when you need help. Now we need your help,” was the plea from Harkin-Kelly.